A magnificent unit looking out over the Indian Ocean, the unit has three bedrooms and two bathrooms and can accommodate six people. 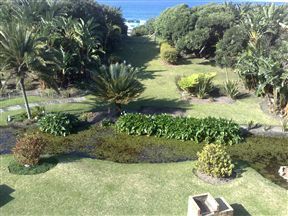 The unit is right on the beach, and the life guards are 800m to your left, swimming pool and braai facilities in complex. Absolutely lovely place. 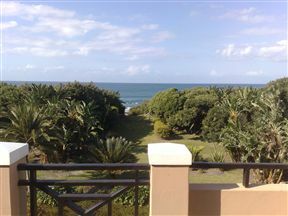 Gorgeous view, close to all shops and beach just a few steps away. Will definitely love to stay there again.